This is my youngest daughters first catch. My husband and I had taken our kids fishing and I was randomly snapping pictures. I am so lucky to have taken such a great picture. I love the ray of light shining down on them - I like to think of it as my grandpa shining down. 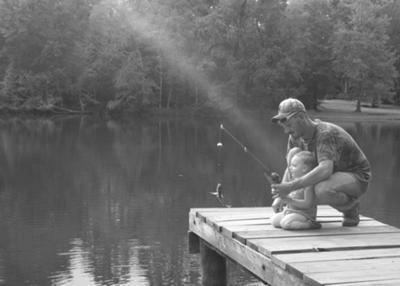 His favorite thing in the world was fishing and this picture was taken 4 years to the month of his passing.